Last March 31st I had the opportunity to speak at the first Venture Capital Conference for the Pacific Alliance, held in Lima Peru. It was an amazing event organized by COFIDE and ALTA El Dorado Emprendimiento with all the main players from the entrepreneurhisp ecosystem in Mexico, Colombia, Peru and Chile. It was amazing to see and get to meet people like Dave McClure, Paul Alhstrom, Piero Ghezzi (Peruvian Minister of Production and Innovation) and Gastón Acurio. I was asked by the organizers to talk a little bit about my experience fundraising for Latin American Internet Startups, mainly in my currnent and previous statups: Mi Media Manzana and AdondeVivir. In this presentation I talk about what it means to raise funds from Latam, why is it necesary, the advantages and disadvantages of fundraising and the main differences between raising money in LATAM vs. fundraising for your startup in USA. Some weeks ago me and my team we were sitting at the Mi Media Manzana offices in Lima-Peru, working as usual... when a long awaited email arrived into my inbox. The subject read: "Congratulations !..." . I knew exactly what that meant, I've been waiting for this e-mail to arrive for several months... this meant that we were going to Silicon Valley, we had been selected to participate in the BlackBox Connect program. 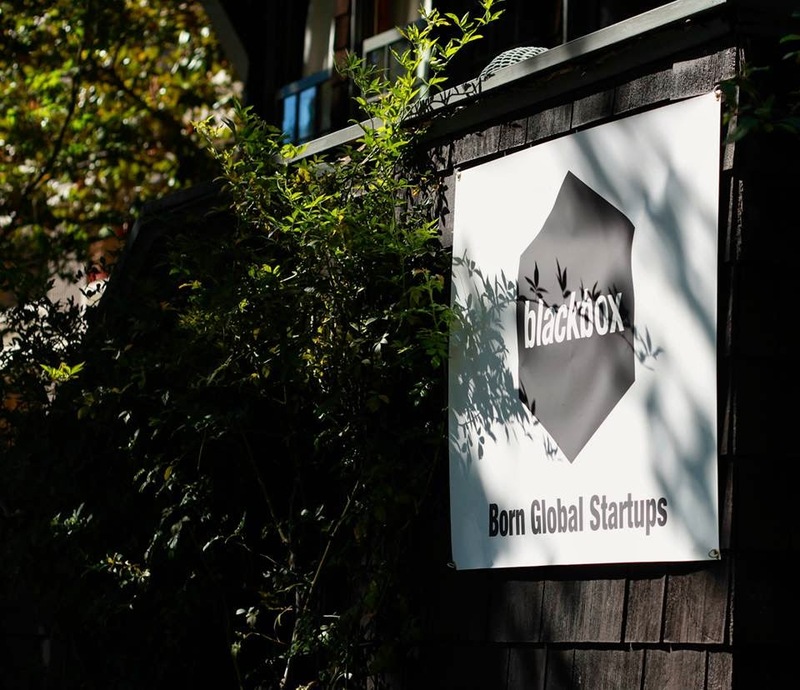 In their own words (better than mine) this program is a "unique opportunity for non-US startups to access resources and scale globally during a two-week immersion program". The two weeks at Blackbox were amazing. Learned a lot from the program, from Fadi Bishara and from the other entrepreneurs from all over the world that were part of it. *If you want to know about their incredible Starups, here they are. 2.- People don't have time. Be short, really short. Say what you do in 7 words. 3.- There are millions of Startups competing here. There are several VC's investing here. The odds to raise money are low, but usually higher than anywhere else. 4.- VC's are in a position of power. Someone told me during these weeks "In the end... everybody in Silicon Valley dreams to start their own fund and become a VC. Business Angels want to become VC's. Entrepreneurs want to exit, and then become VC's. VC's want to become bigger VC's"
5.- You'll never raise money in the first meeting with a VC, neither in the second. If the Startup is within their scope, they invest only when they see an upward trend over time in the entrepreneur. 6.- Valuations are higher in Silicon Valley than anywhere else. Here's an interesting article on early stage startup valuations in Silicon Valley. 7.- This is the place where the most talented people in Technology from all over the world come to work. The best of the best come here, period. 8.- Competition for talent is harsh. The best are here but that doesn't mean they'll work for you. There are millions of interesting startups and yes, on hiring you also compete against Facebook, Google, Intel, etc. Equity is a must, but usually not enough to hire someone. Gets an inspiring/persuasive leader on an extremely interesting project to get someone working with you. 10.- Networking is really everything. This is how you meet new people that could eventually be on your team, how you learn from other entrepreneurs, how you meet your future investors, how journalists get to know you, how you meet your future cofounders, etc. Your network and therefore your reputation is really your biggest asset by far in Silicon Valley. The topic is so relevant here that I'll dig deeper on Networking on Silicon Valley on a later post. 11.- Don't ask for favors to people who don't know you, people will get pissed off. It takes a while to understand, but it's a mix of getting right points 9 and 10. The order is important. First you meet people, get to an initial relation. Second you offer help. Third, if the person you know wants to and trusts you, they'll offer help to you. That's more or less how it works, don't go asking people you don't know for favors. I'm sure there's much more to learn from this place and it's people... and this is the reason I'll keep coming back to Silicon Valley. My 4ht StartUp - Hello Online Dating, Hello "Mi Media Manzana"
Around the beginning of 2013, I realized that I'm a serial Internet StarUp Entrepreneur. I became very aware of it and knew this is what I'll be doing the rest of my life. I love the chaos, the ups and downs, the ever changing tech environment, the speed and the growth, and the impact that the work of an individual person can have and the value one can create in early stage ventures. In July of 2013 I initiated what is now my 4th Internet StartUp. 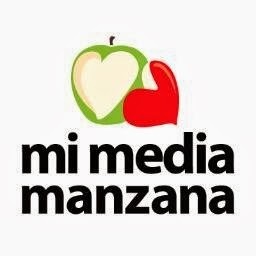 "Mi Media Manzana" is the first company to bring the Online Matchmaking business model to the Andean Region and aims to position itself as the leading Online Dating company in LatinAmerica in the next few years. We focus on serious, long-term relationships for non-married people over 30 years in the LATAM region. My experience as a CEO in my past three StartUps has been a complete rollercoaster. Here a post (in Spanish) on my view on How's the life of a StarUp entrepreneur in Latin America: Trabajar en una Internet StartUp. 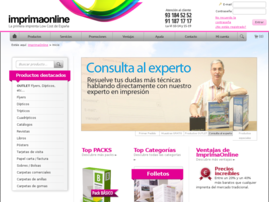 My first attempt to build an Internet company from scratch was in Barcelona, Spain. I got together with an amazing guy with a lot of experience in the printing industry that had a revolutionary idea: bundle several orders in the same Offset plate before you print, and you could save up to 70% in costs. Basically the idea of "Low Cost" Airlines applied to Offset Printing but using a website to get the needed volume of similar orders. This is how "ImprimaOnline" was created. 3. Fail FAST ! If your gut is telling you it won't work, cut your losses and do it fast. Not only you save your investor a lot of money, but also you save your precious time and also you gain credibility. 5. The technology in the end, is irrelevant. Sounds awkward to work in Internet StartUps for a living and say that the technology is irrelevant but it's mostly true. It doesn't matter how good is your website, It'll always be easy for a competitor to copy in a short time. The competences you develop and how fast can you adapt to change on the other hand, cannot be easily copied. 6. I also learned how to step in front of an investor and tell him that he just lost all the money he had invested. You have to be mentally ready to do this if you work in Internet StartUps. My third venture, the most interesting so far was AdondeVivir. Right after the failure of the B2B Marketplace, I got together the team that I had assembled for this venture, the same Business Angel (incredibly he decided to invest again in us after the first project) and we created a Real Estate Classifieds portal. It was an amazing ride. 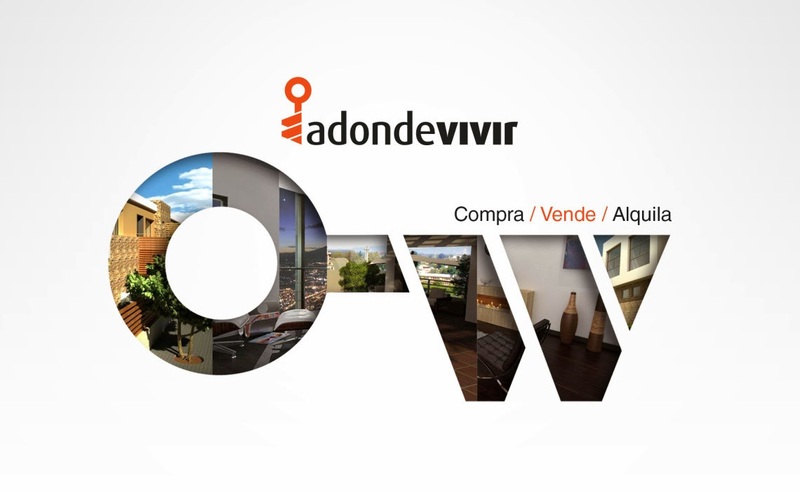 In 5 years AdondeVivir became the market leader in Peru and was acquired by a venture capital firm from the US for 7 figures valuation. We became the first ever peruvian StartUp to appear on nationwide TV (on a daily basis) and also the first ever to raise money from a VC fund from the US. Here's my goodbye post on my experience in AdondeVivir. 8. Don't sleep until you reach break-even. Seriously... don't. You have to start thinking on revenue and monetization, from the start of the company, even if it's not the main goal at the beggining. Don't delay it. Don't procrastinate it. Don't say "We'll build traffic first and monetize later". Either you're Twitter or Instagram that can build huge valuations without really selling anything... or you're like 99.9% of the other StartUps: If you don't generate revenue before you run out of cash, you're dead. Don't sleep until you reach break even, and when you do... if you do it... throw a huge party to celebrate this incredibly difficult achievement. 9. If you're the CEO, be careful to lose control of the company. Once you sell a big enough chunk of your equity, you wont be making the calls, you won't make the important decisions anymore. Are you ready to do this? Is it worth the money you're raising? Is it really necessary? It Can be or not, but think really carefully when doing it. I lost control, and even though I think it was the right decision... my job stopped being fun after that point... I lost all interest.